one finds the Wanderlust Cafe. A meeting place, a place of respite, a place to have some exotic tea or a stiff drink, eat fruits and simple food, a place to stow your pack in a safe corner, or lay out a few trade goods for sale. Listen to foreign tongues, write or sketch in your journal, argue philosophy, send postcards and file dispatches, or just sit and dream. Send some emails (though we can't guarantee the internet is working, shrug). There's spies and smugglers and adventurers and artists and all other sorts of low-lifes. Fortunetellers. Bards. Poets. Pilgrims. Gods and goddesses in disguise. One never knows. Where is it? Along the Silk Road, off the Barbary Coast, on a Greek island somewhere near Delphi or Shangri-La. Hard to find, hard to miss. Under the shade of a centuries-old mango tree. Adorned by long-limbed descendants of Egyptian temple cats. A place to tie up the camels and the horses and dust off your fedora. Swap some stories, or some lies. Hatch a conspiracy. Dance if you wish. Scream if you need to. Love if you dare. A century-old guidebook often helps prepare me for the dual journey, as my enjoyment is enhanced by the comparison between experiences of preceding travelers and my own. 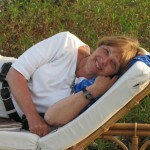 Having read many histories and traveler’s accounts of Greece, there are many expectations as well as my own past experiences, so each visit to Greece has a complex set of anticipations. 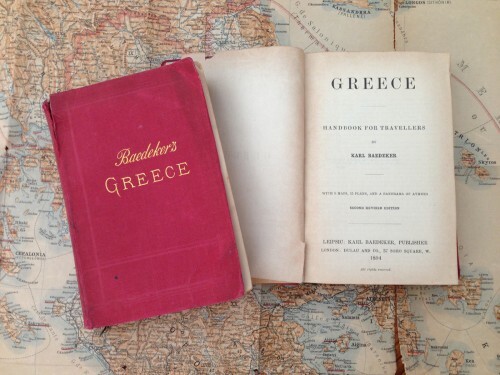 In this case, I’ve managed to acquire both an 1894 and 1905 edition of the classic Baedeker’s Greece “Handbook for Travellers”. I enjoy seeing the distances expressed in days on horseback, with advice (and sample contract in English and French) for hiring a Courier (guide) or Dragoman, as well as a list of suggested items to carry for travel into the interior. There suggested equipment includes waterproof bags or wallets, smoke-coloured spectacles, a traveling flask and drinking cup, knife large enough to be used in eating if necessary, a fork, candles for evening use, a good-sized rug, and a good compass. And a stout cane might be useful as well as a good camp-bed for long journeys. One should be sure that the dragoman’s services include paying all railway, steamboat, or carriage fares, as well as the hiring of saddle-horses and pack-horses, plus provision of all meals (including wine, coffee, etc. ), and the securing of accommodations for the night. The travelers are not to be held responsible for any injury the horses may receive by falling or the like, unless it is clearly due to the rider’s fault. 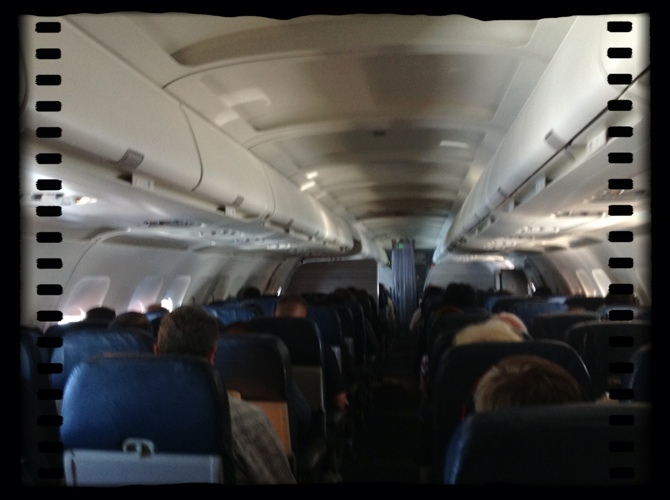 Furthermore, the travelers shall be at liberty to make detours while the pack-animals follow the shortest route. And, of course, half of the sum agreed upon is generally paid to the dragoman in advance, while the other half should be retained to the end of the journey. In case you should experience unexpected time travel back about a hundred years, I trust you will find the aforementioned advice to be quite helpful. Oh, so many reasons I travel. 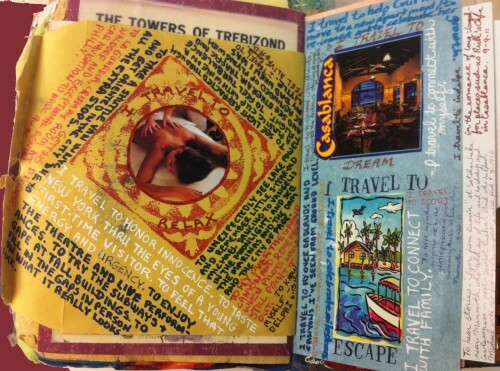 This ongoing page in my most favorite of my journals (my “Precious”) is a collection of random musings on the many and complex motivations behind my travel longings. 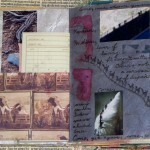 I have many more pages in other journals, with even more random notes and lists of travel reasons. I travel to dream, to remember, to feel excitement, to relax, to escape, to move, to get lost, to see a sunrise, to honor innocence, to …..
Oh, I’m not ready to distill this down to a simple answer quite yet. Perhaps we should discuss this over a strong mint tea at the Wanderlust Cafe some time. Everyone’s invited. Just returned from Greece after a journey with many unexpected self-discoveries, and will need to take some time for some offline writing before returning fully to the real world. But first I wanted to share this picture and story of my one of my favorite souvenirs ever. I woke on the morning of the 28th in Santorini, suddenly thinking, oh, that it is my son’s birthday (he’s 32 now), and I had forgotten, and I must be the Worst Mother Ever. So I went looking for the perfect gift to buy him on my last day in Greece, and found this small but heavy statue of the great hero Achilles in the gift shop. Had to get it, it reminded me of the knight in shining armor that he had insisted I buy for him when he was 6, and we were only on the second day of a three-week-long Eurail pass trip around Europe that he and I took by ourselves many years ago. And, of course, in those old pre-roller-bag days, I had to carry both of our bags during the entire trip, including the 12″ tall knight, because he was too little to carry either of them. It’s many years now, but he still has that shiny knight from Toledo, Spain. 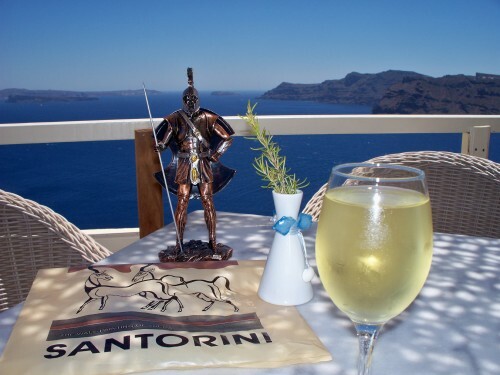 So I bought this new heroic figure, perched him on my table at my favorite little cafe overlooking the caldera in Santorini, and toasted him with a glass of the local wine. Only afterwards did I realize in my glowing late-in-the-journey traveler’s haze, that it wasn’t his birthday at all … somehow, I had confused June 28 with September 28 … well, you can see that I had definitely been losing track of time along the way, it was that kind of journey. LOL, it wasn’t his birthday when we bought the little Spanish knight either! Shrug. En route. Have crossed the threshold and made the departure. But still in that strange mode, not really here, certainly not THERE yet. Made some preparations to nudge the soul to start the journey, but she’s still lagging behind a little. Hey, up here! On the way to Greece! Hope you catch up soon! 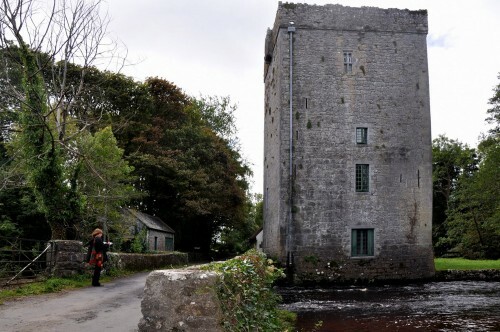 Actually, Yeats’ Tower was closed that day due to recent flooding. However, the lost possibilities of the climb to the battlements were replaced by another magical encounter at the bridge. And by the imperative to return in the future. – with love for the journey. Another vintage postcard, sent from Paris in 1909. Evidence of a journey to the Eiffel Tower and environs. What a surprise it must have been to chance upon this huge bronze creature in the sculpture garden. 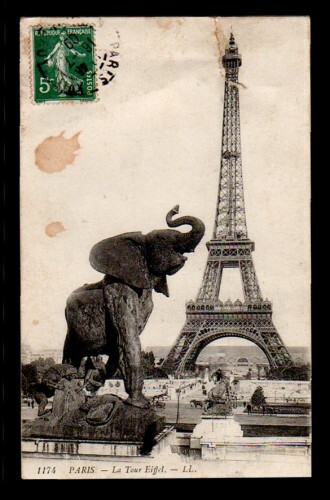 If only I could read the elegant vintage script on the postcard’s back, I would tell you the story of the traveler’s encounter with the magnificent creature. What the heck, someday I may just tell the story anyway. Evidence of the Journey. A long-ago trip to Egypt and the Pyramids. 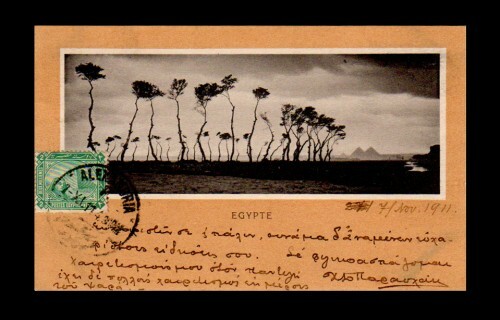 A postcard with Greek handwriting bearing a postmark from Alexandria, the gateway to Egypt. A view of the pyramids, perhaps as seen by Alexander the Great himself. Over a hundred years have passed, yet somehow this postcard survives. I gaze into its ancient landscape and wonder at the many stories it could tell. The pilgrimage resumes in just a few weeks. 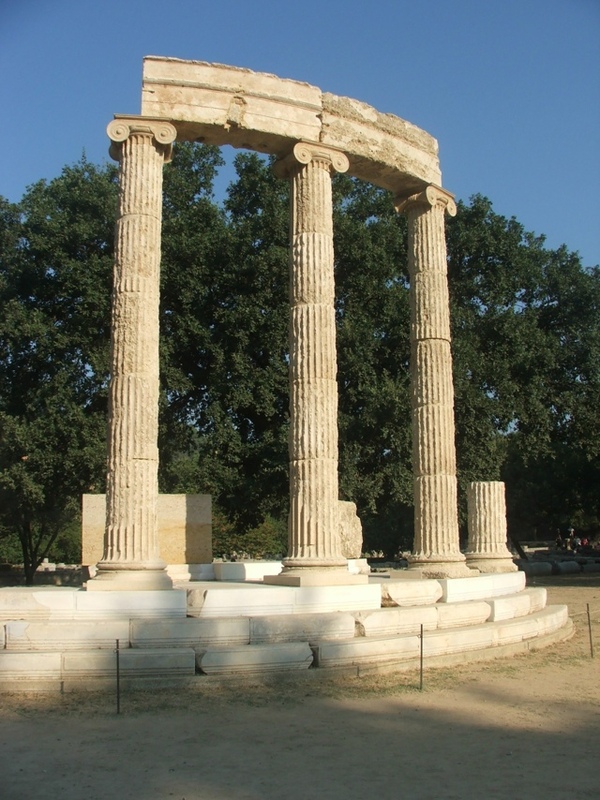 I’ve been to Delphi several times but the answers elude me. I don’t think I’ve asked the right question yet. The Oracle will know if I uncover the true question in my heart. 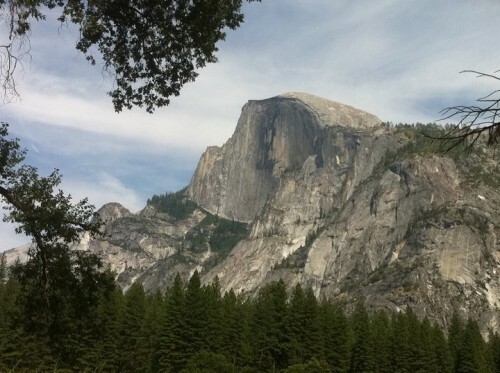 Perhaps … if I take enough pictures of Half Dome … it will become mine. The song reached out to her, and she risked the disapproval of her fellow travelers by delaying long enough to learn its name from the shopkeeper. And so she carried the music home, where she could replay it at any time. 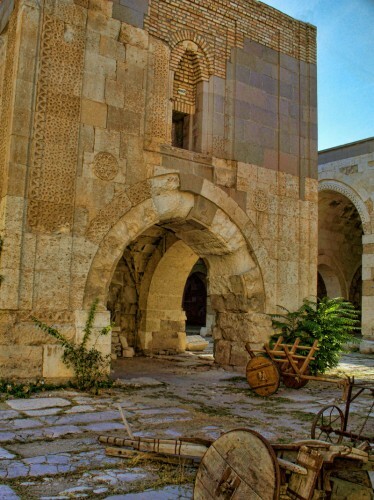 From thousands of miles away, she closes her eyes and returns to the caravanserai along the Silk Road. And feels the presence of long-ago travelers lingering in its golden afternoon shadows. Musings on the song Gülümcan, from the album Köprüler. And the power of music to capture a precious moment from the journey.